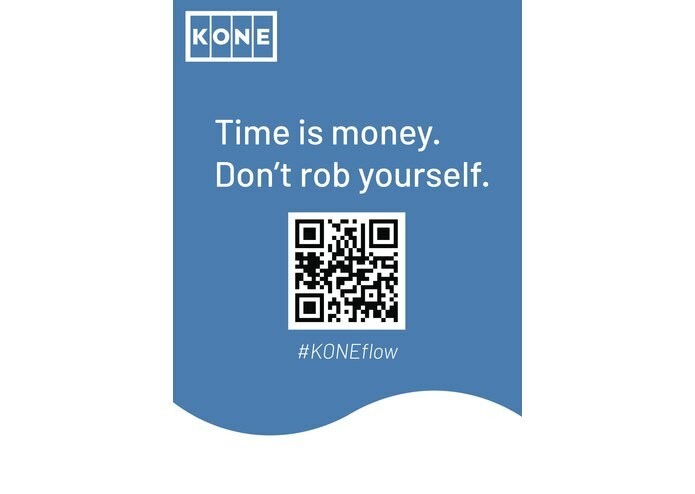 We were inspired by the problem, demonstrated to us by people from KONE. Basically, the problem is that in large scale office buildings there are usually so-called "Rush hours" during the lunch time, the time when working day starts and finishes. People are tend to act similarly from day to day: going to lunch at 11.30, leaving work around 17, and many people might have the same schedules. Can you see the problem, when 15 people are moving towards the elevator at the lunch time, while it can fit only 7. Some of them will get a ride, the other ones will have to wait. What if I tell you, that these people are waiting at 12th floor and do not have the option of taking the stairs? We imagined ourselves on the place of these people and decided upon the elegant and simple solution - managing people flow inside the office, using the cloud technologies and a mobile app. 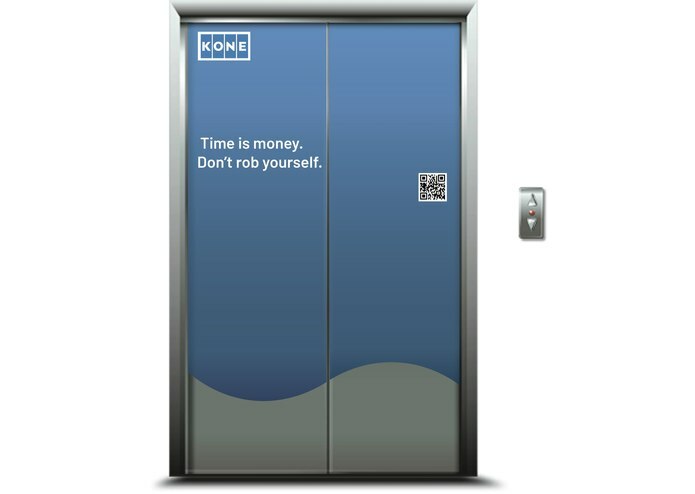 We built the app and the back-end service, allowing to call the elevator, notify the system where some user is going and respond the user with the estimated waiting time. This system will work only if people will use the app, therefore, besides the app we will be getting data from sensors about people without the app and use the marketing stickers to promote it for everyone. We built it with Cordova for mobile application, Java platform on Liberty Web Sphere server for the back-end operations. Basically, in the app a user is able to pick the floor where he would go and call the elevator. This data is passed to the java app on the server, which compares it against current elevator traffic situation (calls from the app, people waiting at the elevator doors without the app and the number of tasks which elevator has to process before it will be able to pick a person from the desired floor. Afterwards, java app sends the information back to user, containing data if he should display the notification that the wait time is a bit longer than usual and with the time estimate until the elevator will be able to pick him up. The biggest challenge here was a short amount of time. We had all the technologies at our hands, but the calculation system turned out to be more complex, than a one-day project. 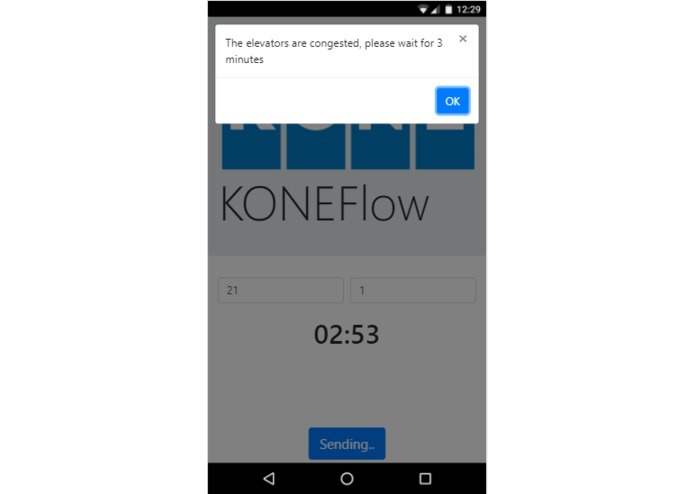 Therefore, we have a test example app with most of the required methods in the back-end, providing decisions based on the number of users which made calls and the pre-set elevator capacity in order to get the time estimates. Also we had some troubles with running the java web app on a bluemix cloud service, so we had to demonstrate it on the local server where it works. 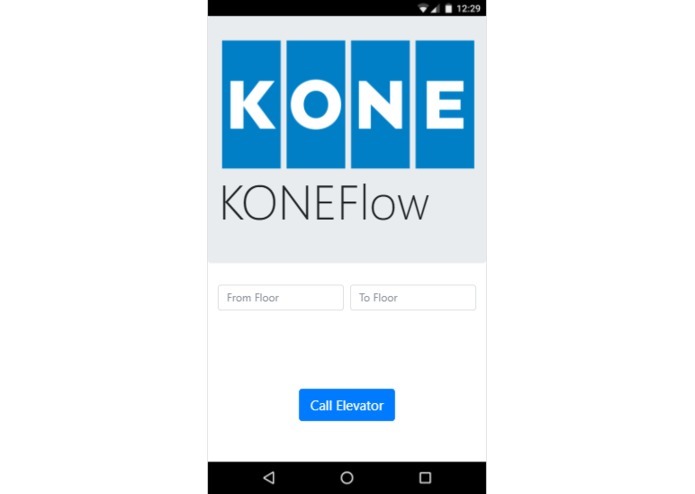 We are proud that we could make a sample app which connects to the server, which has methods to get data and call the KONE api as well. We have learned, that the main point of a hack is not to make a fully operational final solution, which could be used in large scale operations and businesses. The main point here is to come to a worthy idea, demonstrate the basic principle and provide possibilities and paths for further development of the project. If it happens - then the hack can be considered successful! The next possible steps would be - continue development, add more methods allowing to manage building areas and people based on that data. Estimate the time values based on the elevators workloads. Improve the UI and basic back-end operations. Connect a camera with the api allowing to count people in front of it, in order to get data about how many people are going to get a ride on the elevator - which will also improve time and queue estimations for app users. And the last, but not the least, being able to record and store the info about current users location - therefore they would not have to select the starting floors. Developed the backend java app. Developed the front end and concept development for this project. I was working on the design, marketing ideas and general ideas what the system should do, how, and how we will we able to make people use it.